The Invacare community bed range consists of high quality electric profiling beds suitable for community and residential care environments. This includes the cost effective Medley Ergo through to the high specification SB 755. 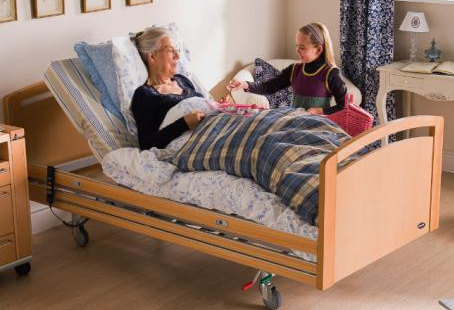 Invacare also offers a wide range of accessories to compliment the community bed range including side support rails, net covers for side rails, and bumper wheels. 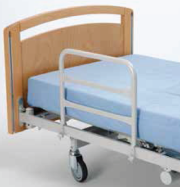 A range of mattresses are available from Essential Comfort pressure reducing foam through high specification contoured design foam cells and Visco memory foam to dynamic Alternating Air Cell mattresses for Very High Risk patients. The Medley Ergo range offers the perfect balance between budget, functionality and quality requirements. 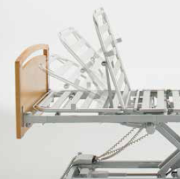 The Etude Plus care bed, has attractive aesthetics, flexible design and easy handling making it ideal for community care.